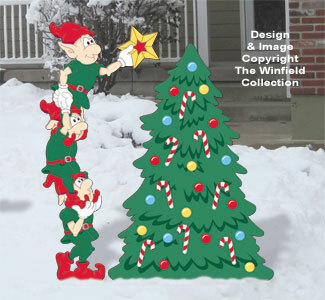 These clever elves are teaming up to put the finishing touch on the Christmas Tree! Color Poster Available---Ideal for the non-painter or if you just don't have the time. Look up item CP-W2075.